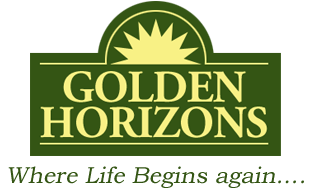 Golden Horizons, “where life begins…again.” Our communities are a place where conversations and welcoming faces are easy to come by. You will find that our apartments and health care combine independence for an active and social lifestyle with personal care in a warm, noble setting. Our compassionate staff will guide you to find the best level of care options to fit your individual needs. We are committed to working closely with you so that your desires are fully met in one of our facilities. Our 24 hour, 7 day a week care provides you with security and peace of mind that we are always available for you.